We have seen “One of a Kind” devices a lot since when we first start covering wearable stuff for around two years. The wearable market all over the world is changing at a fast pace, and we need innovations that can improve the efficiency of a product we use. I know one day would come when we would have only one device doing all our work, you can call it a collaboration of smartphones, wearables, accessories and supercomputing in one matter. Though, I’m not looking forward to the singularity, but I do look for a wearable that can offer more than just activity tracking. Well, if you’re such curious like us, then we have found a perfect product for you to try out his new year. Helix Cuff is such wearable that is more of an integrated hands-free solution for wireless audio needs. We all want to thrive on such products that offer convenience more than they make things complicated. What this wearable promises is a premium features with first class experience. It is designed in such a way that headphones fit inside the tiny compartment in the cuff. Measured to be perfect in size, the company ensures that they’re small enough to wear on your wrist and can sit on your ears comfortably. The bracelet is made out of a chemical resistant rubber material, which makes it water resistant and robust enough for daily use. The company uses the efficient Bluetooth 4.1 standard as it offers wireless connection up to 30 feet between Helix Headphones and the source device. Now this product is more about offering conveniently designed headphones than providing wearable features like most of the people think, like activity and sleep tracking. I would stop you right there; it is not the fitness bracelet but a fashionable bracelet that can fit high quality wireless headphones. The Helix headphones use aptX audio technology, which promises to deliver CD-like quality audio via the Bluetooth connection. Enabled across all aptX sourced devices, you would be able to listen to high quality stereo music playback. The wireless headphones market is let alone a big industry, and we all know Beats by Dre is currently the king in it. 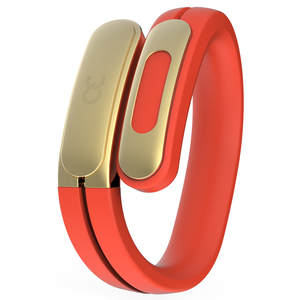 But if this new territory is explored well then Helix Cuff can be the Beats of this category in the wearables market. They’re capable of remembering up to 8 paired devices, and when turned on, they can automatically connect to the connected device that is in its range. With Smart Multipoint Connectivity allows it to be able to connect with two devices at a time. Moreover, switching between two audio sources at a time is said to be hassle free. There are technologies like Audio Enhancement, cVc Noise Reduction that allows it to bring Bi-directional Noise Reduction to the table. It offers controls to answer/reject calls, play/pause music, adjust volume and fast forward/ backward the track. You can pre-order one Helix Cuff for as low as $169, which is the offer pricing while they would be retailed later this year at $199. Or you could get two pairs for $299 offer price as they retail for $398 in spring 2016. There is also a Gold Edition that would cost you $299 if you’re interested in spending for it. The company states the shipping is free for the United States customers. This year if you happen to go to CES Expo in Las Vegas, the company is going to showcase their product as well as they’re chosen as one of the Innovation Awards Honoree.